This 3-plus-2 dual degree program provides an opportunity for students to earn two STEM degrees - a B.S. in Physics from NCCU and a B.S. in Mechanical Engineering from NC State University. 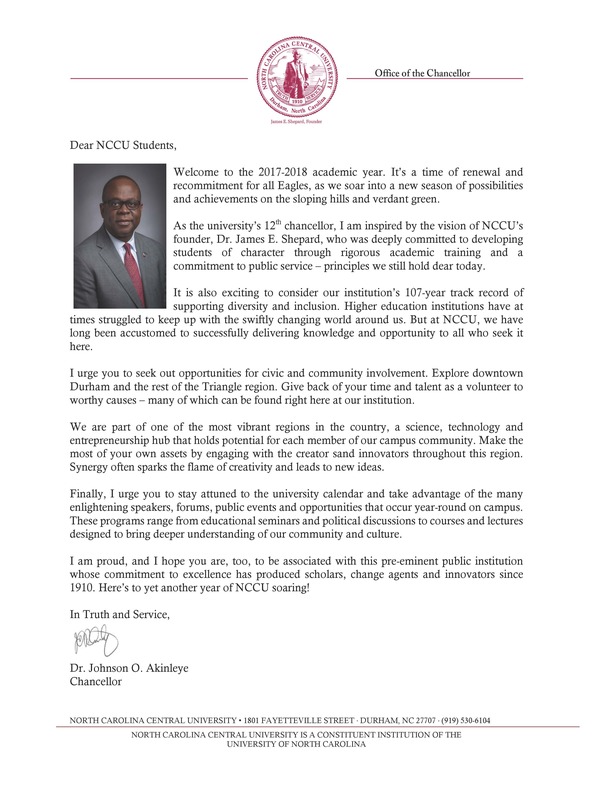 Students would complete three years of study in physics at NCCU and then transfer to NC State at junior status level in the Mechanical Engineering program in the College of Engineering. Upon completing two years of study in mechanical engineering at NC State, selected engineering course credits earned by the student would transfer back to NCCU and count towards the completion of the physics degree program requirements. The student would then be awarded two degrees, one from each institution. Complete the General Education Curriculum (GEC) and the NCCU requirements below with a minimum GPA of 3.0. Student completes required 94 credit hours in NCCU physics program. Student applies to transfer to College of Engineering at North Carolina State University. A GPA of 3.0 or above is required at the time of transfer. Student completes program of study at NC State for B.S. in Mechanical Engineering degree: minimum of 126 semester hours (74-NC State plus 52 transfer from NCCU). Transfer 30 credit hours of selected Mechanical Engineering courses to NCCU to fulfill NCCU physics program requirements. Many 3000-4000 science courses may be approved.